With the Eurocom Racer Gaming-Notebook being a 15.6" machine, it therefore supports the recent generation of TDP graphics cards with up to 100 Watts of power. 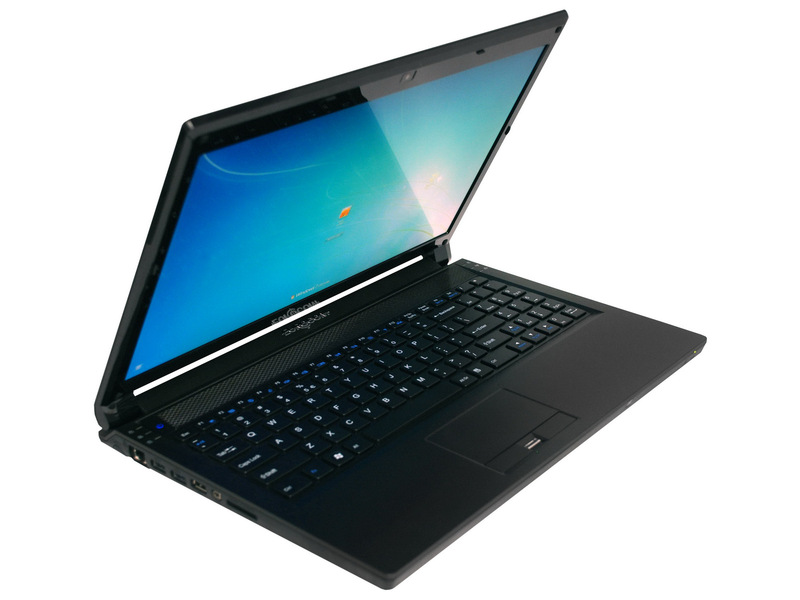 As a result, the latest notebook from Eurocom can be customized with 7 different GPU options. Furthermore, the notebook can be customized with either a matte or reflective display and up to a Full-HD resolution of 1920x1080 pixels. "The EUROCOM Racer is currently the fastest 15.6" notebook with the widest selection of VGA options." says Mark Bialic, President and CTO of Eurocom, and with the multiple options available he's most likely correct. The gaming notebook comes with a 180-watt power supply and starts with a base price tag of $1,249. Eurocom Corporation (www.eurocom.com) , a leading mobile technology developer has been testing performance levels of the optional VGA cards in the EUROCOM Racer notebook. The custom built EUROOM Racer supports eight high performance video cards. o Storage: up to 2 physical drives, SSD, hybrid or mechanical, up to 1.75TB of storage. Eurocom is committed in assisting students and future generations acquire highly capable computer equipment that can last a lifetime. "Eurocom has a goal of helping every student and graduate progress towards being an active participant of the global workforce. Eurocom is rewarding the quest for knowledge by offering increased discounts for higher educational achievements" explained Mark Bialic, president of Eurocom. To learn more about the Eurocom Higher Education Program please visit the dedicated Education Web Page.